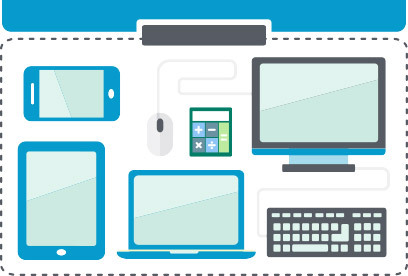 We now have more devices than ever at our disposal – smartphones, tablets, laptops, and PC’s. We have an ever-increasing number of options for connecting and staying connected. Company team members need the freedom to access their work email and documents from anywhere on virtually any device they wish. Intune provides this for you with a diverse set of tools for managing your complex mobile environment. Intune’s unique combination of mobile application management and device management options provide the flexibility needed when managing and securing your mobile productivity. Microsoft Intune provides a more integrated mobile worker experience and integrates with most suites of productivity tools, including Teams, Skype for Business, SharePoint and Power BI. Enables a PC-like experience with Microsoft Outlook, including the much needed ability to link to your calendar, Skype for Business and SharePoint. Offers option to use biometric technology to access Outlook. Provides a new application catalog experience that is more visual and easy to use. 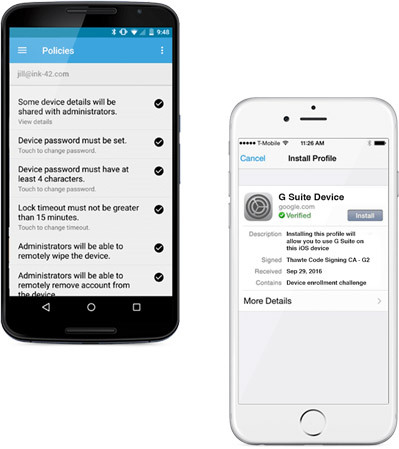 Enables secure access to many mobile applications without requiring root-level access. Enables reading of encrypted e-mails that is native due to Microsoft Rights Management. Feedback around Microsoft Intune has been very positive. Team members can check their e-mail, calendar and contacts when they travel. They can chat with colleagues via Microsoft Teams or join conference calls using Teams or Skype for Business. 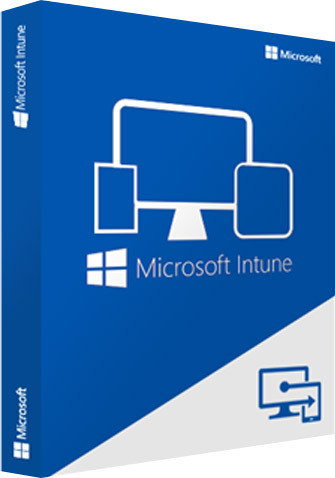 Intune provides cloud-based mobile device management, mobile application management, and PC management capabilities. Leveraging Microsoft Intune, businesses can provide their team members with access to corporate applications, data, and resources from anywhere on almost any device. This can all be accomplished while at the same time helping to better secure your organizations information. Microsoft has the control and only physical access to their datacenters and systems with two-factor authentication. Only select, thoroughly vetted Microsoft staff have logistical access to Intune and your data. These Microsoft’s vetted team members have years of experience in delivering the world’s largest online services 24 hours a day, 365 days a year. They maintain, enhance, and verify their infrastructure and conduct regular penetration testing to continually validate the performance of the Intune security controls and processes. 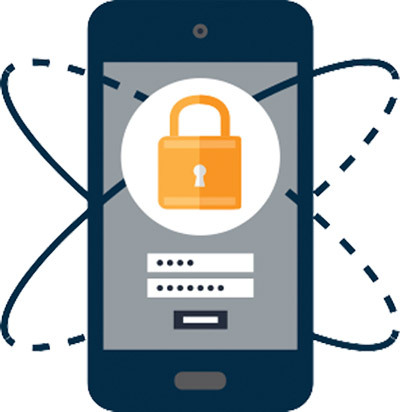 Each mobile platform has its own security models and processes. Microsoft uses SSL to secure and protect communications between your companies’ mobile devices and the Intune application. 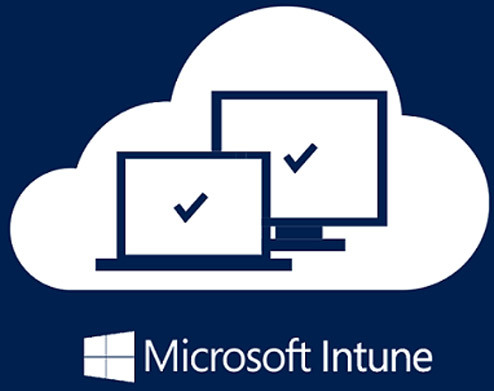 Intune also provides account, administrator, and company portals, all of which have access controls, use SSL, and have inactivity timeouts. Microsoft Intune utilizes Azure AD for their user authentication. You can enable a single sign-on experience for your team members by connecting their on-premises directories with Azure AD. You can also extend your existing System Center Configuration Manager infrastructure through integration with Intune to provide a consistent management experience across devices on premises and in the cloud. MDM stands for Mobile Device Management and is software that manages and secures smartphone, tablets and other endpoints. MDM is a core component of enterprise mobility management (EMM) which also includes mobile application management, identity and access management and enterprise file sync and share. It is used in many verticals including educational environments where students are given laptops or tablets or with first line workers who may be utilizing mobile devices in the field or wherever employees are issued company owned devices. IT administrators configure policies through the MDM server’s management console, and the server then pushes these policies to the MDM agent on the device. The agent applies the policies to the device by communicating with application programming interfaces (APIs) built directly into the device operating system. IT administrators can also deploy applications to managed devices through the MDM server. Disable / enable features like the device camera, screen shots, etc. Mobile application management (MAM) describes software and services responsible for provisioning and controlling access to internally developed and commercially available mobile applications used in business settings on both company-provided and bring your own (BYOD) smartphones, tablets and computers. Mobile application management provides granular controls at the application level that enable administrators to manage and secure application data. (MAM) differs from mobile device management (MDM), which focuses on controlling the entire device and requires that users enroll their device and install a service agent. While some enterprise mobility management (EMM) suites include a MAM function, their capabilities may be limited in comparison to stand-alone MAM solutions because EMM suites require a device management profile so you can enable application management functionality. EPC Group’s team of experts can work with your organization to implement and configure Microsoft Intune to provide for the robust management of mobile devices as well as desktop and laptop devices in a unified manner. We also tailor Microsoft Intune to upload and publish software packages as well as deploy and configure management and security policies from a central location in a “one stop shop” manner. EPC Group can configure Microsoft Intune to provide for a centralized mobile device management (MDM) solution that has the ability to disable lost or stolen devices and wipe them to ensure your organization’s intellectual property is safe and you are able to minimize the risks that happen during these type of events. This allows for BYOD initiatives to take hold due to the ability to lower the risk and provide IT as well as the business with real answers to compliance and regulatory concerns regarding these type of efforts. EPC Group’s Microsoft Intune configuration strategies can ensure that devices that are allowed to access company data follow any password governance as well as device encryption and can also disable mobile devices that have too many failed login attempts.